There’s a Permaculture principle called the ‘edge effect’ which describes the incredible richness and diversity that is to be found where two habitats meet … for example the edge of a forest. 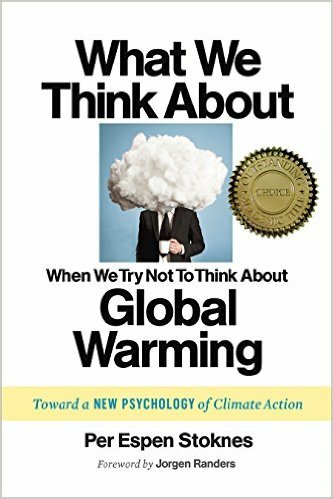 This book brought this to mind as I experienced the weaving together of psychology and climate science, economics, and deep ecology. As a reader it invited me to stretch my edges too, venturing into new territories. Per offers an integrated holistic approach to the diagnosis and the ‘treatment’ of the earth’s malaise like a holistic medicine practitioner who looks deeper than symptomatic treatment to heal the body. 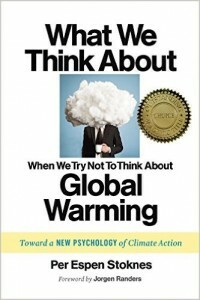 I read this book just before my third grandchild was born which in some ways made it harder – especially the first section which gives compelling evidence of how the messages of climate scientists and activists are actually impacting less now than in in the 1980’s. The basic structure of the book is divided up into three sections; thinking, doing and being. 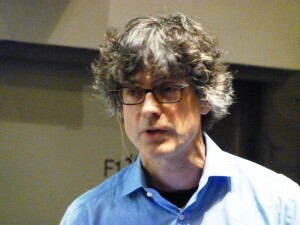 In the first section, he describes the ‘five D’s’ (distance, doom, dissonance, denial and identity): the five psychological barriers to climate action, challenging climate communicators or anyone who attempts to effect behaviour change to look at how we may be alienating our audience. I appreciated his unflinching analysis – unpicking the psychological mechanisms that we need to understand better if we are to engage a wider response to ecological crisis. The ‘doing’ section sets out really practical solutions, having understood the barriers – here’s what we can do about them. From nifty ‘green nudges’ (start where it’s easy) – to harnessing the power of stories & finding more effective ways of communicating, educating and celebrating & measuring progress. This can realign us, breaking through a disconnected numbing out. ‘’When despair hits, when tears flow, those numbed hearts suddenly crack open. Something deeper, wider, wilder peeks through and into our closed off consciousness.’’ His profound exploration of our relationship to ‘the living air’ invites ‘a reawakening to wonder’ so we can see with new eyes and come back into right relationship with the more than human world. Finally he addresses our relationship to hope, describing a kind of ‘grounded hope’ letting go of our attachment to optimism (or pessimism) and even ‘realism’ (because we really don’t know) and simply doing what is being called for. ‘I don’t need to believe things will end well in order to act’. It’s rare to come across someone with such an integrated holistic intelligent take on this incredibly important subject.